National Discount Pool Supplies stocks and sells only the highest quality pool liners available in America. From our solid blue overlap pool liners to our full print beaded liners we have it all. Overlap: Overlap Pool Liners accommodate 48"-54" Pool Wall Heights. The liner overlaps the pool wall and coping strips secure it in place. We sell both 20 and 25 Gauge thickness. Expandable: Expandable Pool Liners accommodate up to 72" Wall Height Pools. They are made for those with a deep end no larger than 6'. 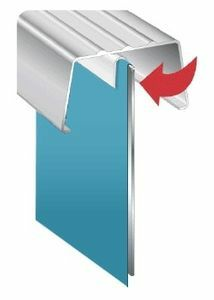 Similar to the Overlap style, they fold over the top wall and are secured with coping strips. Unibead: Uni-Bead Pool Liners come as two styles, Beaded or J-Hook. These style liners either hook over the pool wall or hook into a track that is already there.